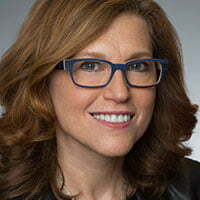 Universal Filmed Entertainment Group has promoted Margie Cohn to the role of president of DreamWorks Animation (DWA). Cohn, previously president of DWA Television, will oversee both film and television operations at the Comcast-owned US studio. She will report to Donna Langley, chairman of Universal Pictures. Chris deFaria, who previously served as president of DreamWorks Feature Animation Group, will leave DWA in the coming months following the global release of How to Train Your Dragon: The Hidden World. DeFaria will continue to consult with Comcast NBCUniversal on a number of special initiatives, while the DWA film and television businesses will maintain separate production operations under Cohn, the company said. Illumination Founder and CEO Chris Meledandri, who has been working with Langley and the Universal team since the studio acquired DWA, will continue to act in a strategic role as senior advisor, supporting all areas of the company. Cohn joined DreamWorks in 2013 when its television business launched, largely on the back of an extensive output deal with Netflix, having previously spent 26 years at Nickelodeon. During her tenure at DreamWorks, the studio has been responsible for series such as Guillermo del Toro’s Trollhunters, The Adventures of Puss in Boots, All Hail King Julien, Dragons: Race to the Edge, The Epic Tales of Captain Underpants and The Boss Baby: Back in Business. Before joining DreamWorks, Cohn spent 26 years at Nickelodeon. “As we look to design the next chapter in DreamWorks Animation’s iconic history, we see opportunity in aligning the film and television businesses under a singular vision,” said Langley. In related news, NBCUniversal International Networks has launched DreamWorks, its 24-hour HD channel focusing on kids and family entertainment, on Indigo Entertainment in Pakistan.